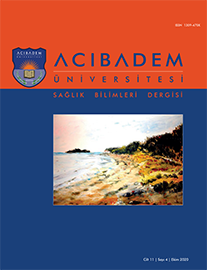 2Zonguldak Bülent Ecevit Üniversitesi, Ereğli Eğitim Fakültesi Temel Eğitim Bölümü Okul Öncesi Eğitimi Anabilim Dalı, Zonguldak, Türkiye DOI : 10.31067/0.2018.92 Objectives: Throughout history, unintentional injuries have posed a threat to human life and the quality of life. In the context of developmental phases, injuries are known to occur mostly in childhood. In the light of this, the present study aims to consider 4-5 yearold children"s injury-risk behaviours in terms of gender, injury type, and context. Methods: The study is composed of two parts. In Study 1, the Injury Behaviour Control Checklist was tested for validity and reliability with the mothers of 493 children in order to identify injury-risk behaviours. CFA findings suggest that the "Injury Behaviour Control Checklist" can produce a valid and reliable assessment. Study 2 had two steps. In the first step, one-to-one interviews were conducted with the children, who were requested to "draw an injured child" and were subsequently asked some questions after their drawings had been completed. In the second step, the children"s mothers were given the Injury Behaviour Control Checklist. A total of 98 children between 43 and 65 months of age and their mothers took part in Study 2. Selection was by convenience case sampling, All of the mothers participated in the study voluntarily. 49 of the children were female and 49 were male. For data collection, the Injury Behaviour Control Checklist completed by the mothers was used. The data was analysed through factorial variance analysis. Results: The study concludes that gender and the context of injury cause a significant difference in children"s injury-risk behaviours. In addition, the interaction between gender and the type of injury causes a statistically significant difference in children"s injury-risk behaviours.